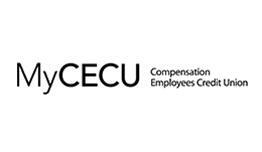 Compensation Employees Credit Union is a closed-bond financial institution that has been serving employees of WorkSafeBC and their families for over sixty years. CECU is a closed-bond financial institution not open to the general public. We provide our services exclusively to WorkSafeBC employees and families. Tuesday, April 10th, 2018 at 12:00 Noon in the WorkSafeBC Auditorium Audited Financial Statements available on this website: http://www.cecu.ca/about/financial-reports/.